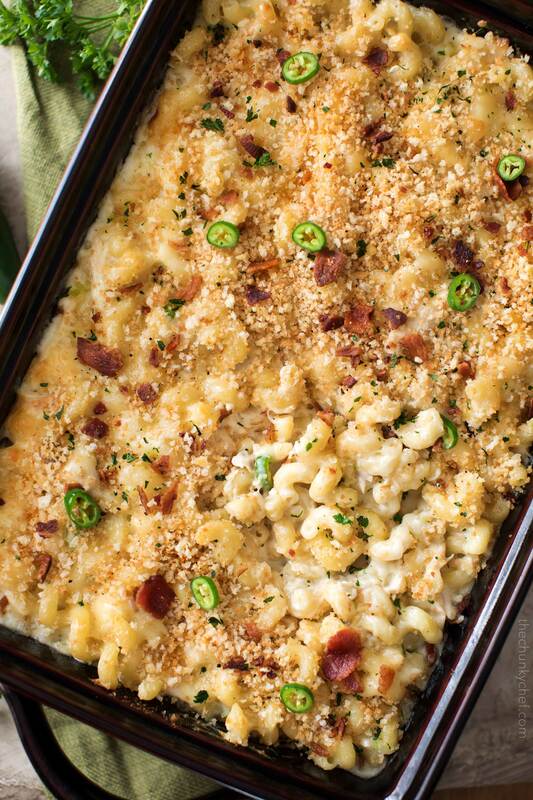 This tasty baked Mac and cheese recipe is bursting with bold jalapeño popper flavors! Everything you love about spicy jalapeño poppers, plus comforting and rich Mac and cheese. It’s a culinary match made in heaven! Y’all, this is the most epic Mac and cheese. If you’re a fan of jalapeño poppers, and love the comfort of Mac and cheese… then this is it. 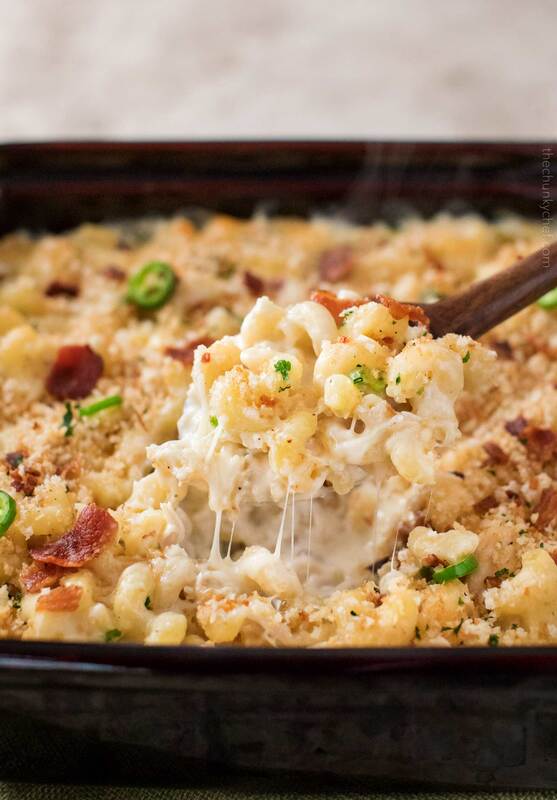 The one Mac and cheese recipe you need to try… immediately! 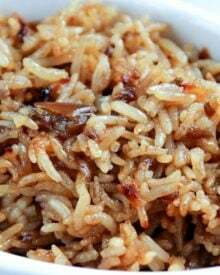 Ever since I posted this family favorite recipe back in 2016, I’ve been meaning to add more recipe like it… but time got away from me! Honestly, I just have SO many recipes that I’m dying to share, and things get pushed to the back burner. 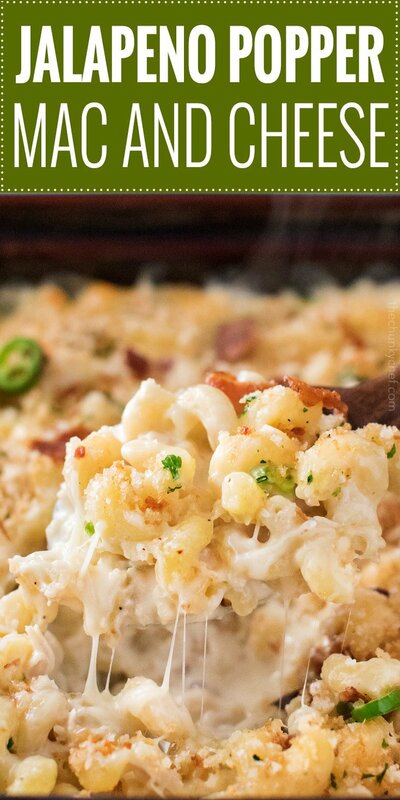 I love that this jalapeño popper Mac and cheese is really versatile. Like things extra spicy? 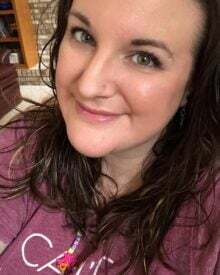 Maybe a little more mild. Want a vegetarian Mac and cheese? Or how about some extra protein? I’ve got you covered! Pasta can be cooked ahead of time. 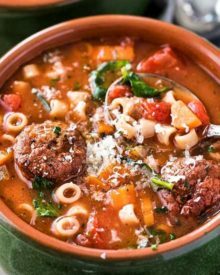 Just toss it with a bit of olive oil, stir if occasionally as it cools, and store it in an airtight container in the refrigerator. Panko can also be made ahead of time and stored on the counter in an airtight container. For a spicier Mac and cheese, leave the seeds in the jalapeño, and/or add more jalapeño. Alternately, you can buck tradition and add a Serrano or two. Swap out some of the cheese (either mozzarella or American) for pepper jack. For a more mild Mac and cheese, use less jalapeños, or use pickled (jarred) jalapeños (the mild variety). For a vegetarian version, omit the bacon completely. For a meatier version, add some extra bacon. Also, 1 1/2 cups of shredded chicken makes a great addition to the bacon as well! CAN THIS MAC AND CHEESE BE MADE AHEAD OF TIME? Make as directed, minus the panko topping (but do not bake), transfer to baking dish and cool completely. Cover tightly with foil and refrigerate 1-2 days ahead. Top with panko and bake at recipe temperature for 25-35 minutes, or until hot and bubbly. 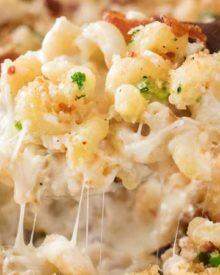 The panko topping on this Mac and cheese is optional, but I really like it since it really brings home that “jalapeño popper” flavor and texture! I hope you give this comfort food classic with a twist a try soon! Deep saucepan – perfect for sauces of any kind! 9×13 baking dish – in case you’re looking for a new one, this one is inexpensive and I love the lid! 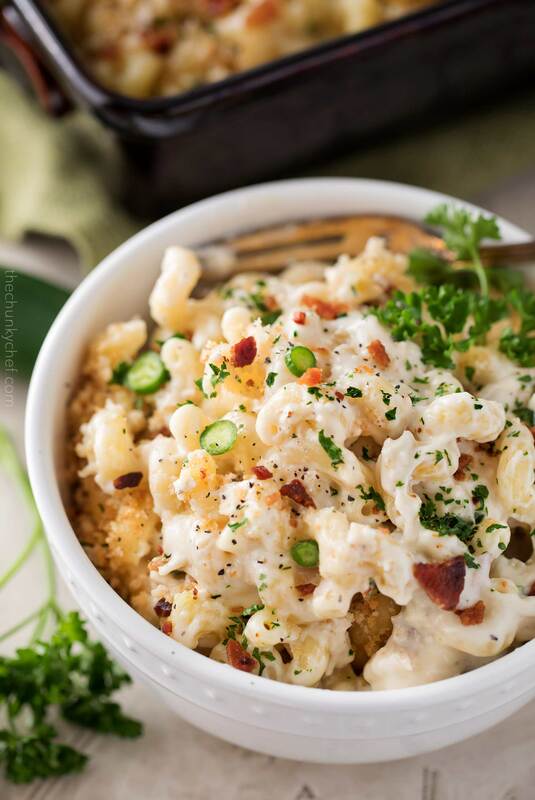 WANT TO TRY THIS JALAPENO POPPER MAC AND CHEESE? PIN IT TO YOUR DINNER OR PARTY BOARD TO SAVE FOR LATER! In a small saucepan, heat 1 tsp olive oil over MED heat. Add panko and stir around until coated and panko is starting to brown. Set aside. Preheat oven to 350 F degrees. Lightly grease a 3 qt baking dish (like a 9x13 pan), and set aside. Boil a large stockpot of water and cook pasta until 1 minute shy of al dente. 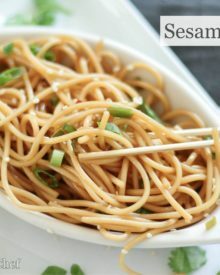 Drain and toss pasta in a drizzle of olive oil to prevent sticking. Add butter to a large saucepan and heat over MED heat. Add jalapeños and onion, and cook 2 minutes. Add garlic and cook 1 minute, stirring often. Add flour and stir to combine. Cook 1-2 minutes to get rid of the raw flour taste. Pour in heavy cream and milk, whisking to combine so lumps from the flour mixture are gone. Cook several minutes until thickened, stirring very often. Add in cream cheese and stir until it's melted into the sauce. Add in most of the mozzarella and white American cheese, stirring until it's all melted. Add spices (salt, pepper, cumin) and stir. 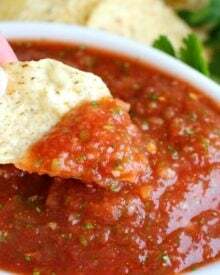 If you notice the sauce getting TOO thick, add in a splash of milk and stir. 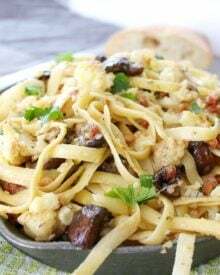 In a large mixing bowl, add cooked pasta, cheese sauce, and most of the bacon. Stir it all together and pour into prepared baking dish. Top with remaining mozzarella and white American cheeses and remaining bacon. Sprinkle with the toasted panko and bake, uncovered, for 15 minutes. Serve hot, garnished with additional sliced jalapeños, and parsley or cilantro if desired. 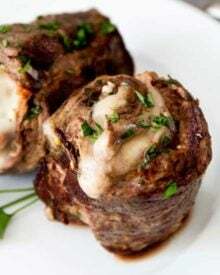 For an ultra creamy version, 1.5x the sauce ingredients (butter through cumin), and bake as directed. SO excited to make this! I hadn’t a question about the bacon, do I cook it first or put it in raw? I hope you love it! You cook it first 🙂 I’ve edited the recipe to make that more clear. This was AMAZING – crazy good!!! Made the recipe exact (used the Monterey Jack). Huge hit and served with a spring mix salad. Loved how the pasta was cooked in the water/milk in ONE pot!!! I just wanted to say that I did a Mac and Cheese cook off and used this recipe and I won. Everyone was talking about how delicious it was and it WAS! Thank you. So good!!!! Absolutely delicious! I did Monterey jack cheese instead of white cheddar and paired with mozzarella, eliminated the bacon, and did two large jalapenos and left some seeds from one of them. I think that cooking the panko breadcrumbs in the beginning is a must (it did so much for the flavor!). I also made some adjustments to make mine gluten free, and it worked great. 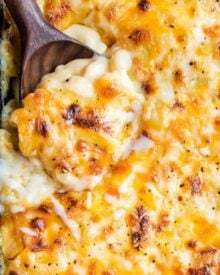 This Mac and cheese looks amazing!! Two of my fave things in one dish…mmm! This is probably my ideal mac and cheese — love these flavors together! woah!ill take note of this recipe and will surely try this.will surely put this one n my book. Wow! Absolutely gorgeous! Dangerously good! What a fun mash up of two classics! Great job! I LOVE this version!! It sounds incredible!! You have combined two of my favorite comfort foods! I can’t wait to try the heat of the jalapenos with all of that cheesy goodness!